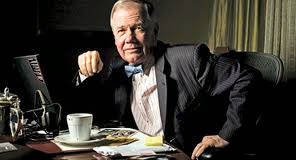 World renowned investor, Jim Rogers, sat down with SBTV at The Safe House and shared his thoughts on the changing fortunes of the US, the coming global financial collapse and the state of the gold & silver markets. Discussed in this interview: 02:02 How America has changed in 50 years. 03:20 Central banks don't know what they are doing. 05:32 Jim's account of the Nixon Shock. 07:56 Gold Standard requires great discipline. 09:10 The next economic collapse. 11:30 Gravity of next economic collapse. 12:25 How China will be affected by the collapse. 13:40 Winners emerging from the economic crisis. 16:47 Reversal of role between east and west. 18:30 What should investors do? 19:42 Gold to go into a bubble. 22:05 Good time to buy commodities? 23:59 Electric vehicles and battery metals. 26:23 Huge potential in silver.